Children are encouraged to develop a positive self-concept, to understand the difference between right and wrong and to develop responsibility. They are encouraged to recognize that people are different and to be accepting of others and we help them learn and practice appropriate ways to respond to others and to express their feelings constructively. 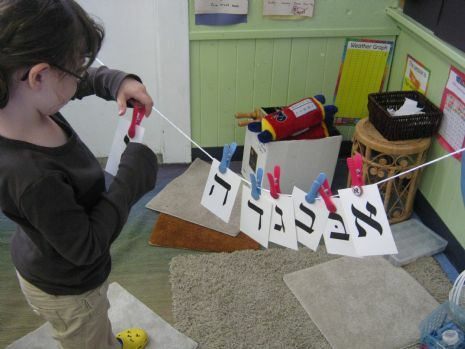 Lesson plans at Gan Israel Preschool are built around the events influencing the children at the time that they are being taught. Weather changes, special animal habits, national celebrations and holiday seasons all determine what will be brought into the classroom at any particular time of year. All these are laced into the general curriculum to allow the children to learn from what is going on around them.